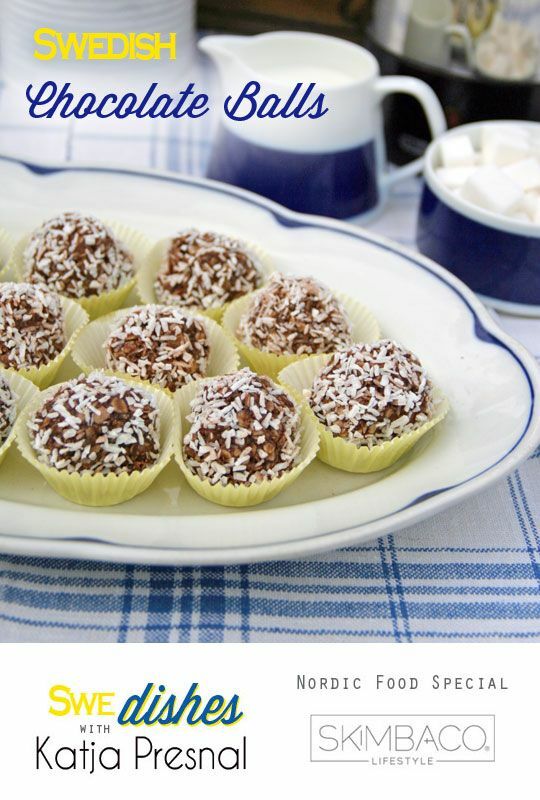 The Swedish chocolate balls, “chokladbollar”, are a popular for kids’ parties, because they are easy to make, and kids love making them because it’s fun to roll the good smelling dough into balls and then roll it in coconut flakes. But don’t be fooled and just think these as kids’ treat, but something you will love as well. 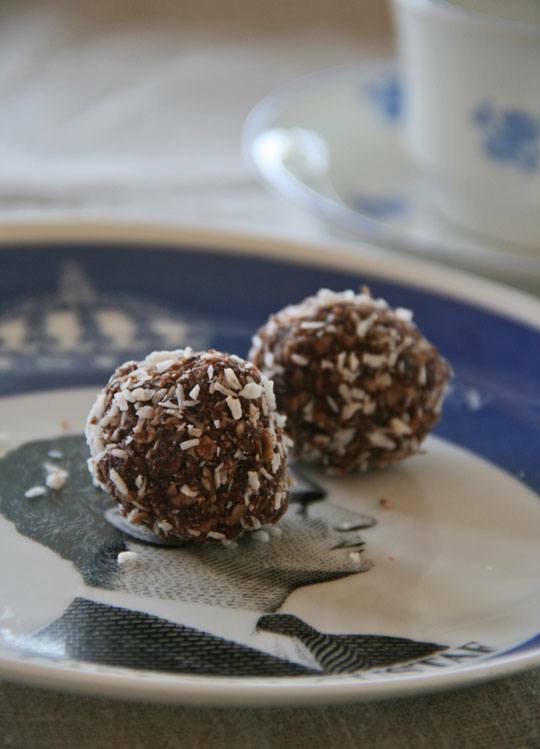 The combination of coffee, chocolate and coconut gives these balls their unique taste, and oats give the nice chewy texture. Perfect for fika, for coffee pause with friends. Best: this is a no bake recipe, making it also a great recipe for lake house, summer cottage or other vacation homes where you may not have as large kitchen as at home. 1. Let the butter warm and get soft (or microwave it until softened) and mix it well with sugar. 2. Add cocoa powder, vanilla sugar and coffee, and mix well. 3. Add oats and mix well to make the dough. 4. Take small amounts of the dough and form balls by rolling the dough in your hands (little smaller than golf balls are ideal). If the dough is too sticky you can add oats, or you can put the dough to fridge for 30 minutes to an hour to make it easier to work with. 5. 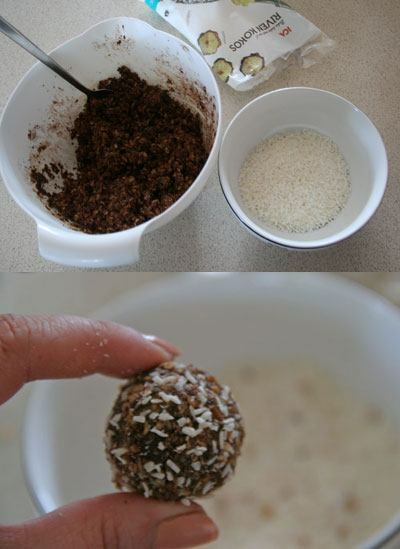 Add coconut flakes in a small bowl and roll the dough balls gently in the coconut flakes. 6. The recipe makes around 25. You can eat them right away, but it’s recommended to refrigerate for 1-2 hours. Enjoy with coffee and friends! 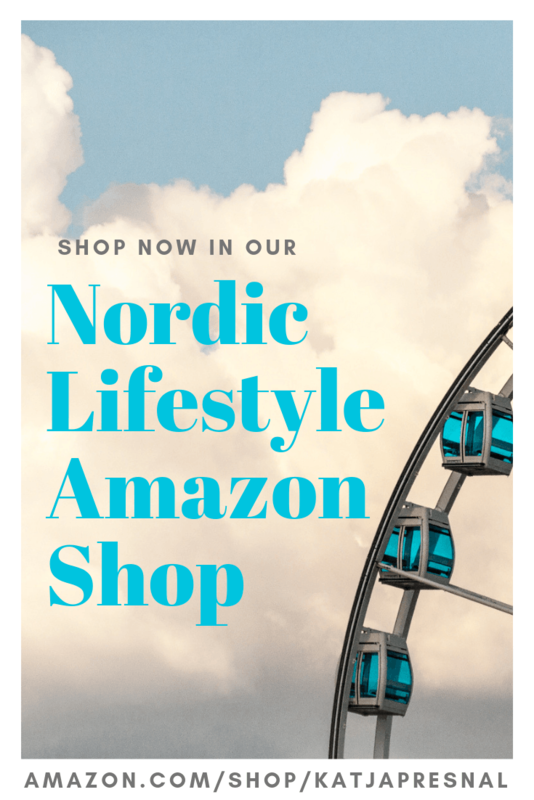 SUBSCRIBE TO ALL FOOD POSTS VIA EMAIL – more Scandinavian recipes coming up! Yes – corrected the typo, thank you so much for noticing! These look delicious and pretty easy to make! We will have to make some and feature your recipe on our blog for this week’s theme of all things Swedish! 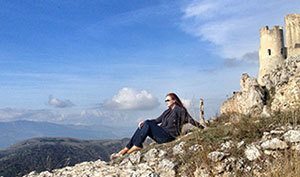 Thanks Katja for sharing this recipe. Looks delicious! That’s a really good (and easy!) idea for a dessert! i’ll be making these to take to bunko tonight! Can’t WAIT to make these darling bad things!! Bet they are wonderful. Thanks so much for sharing the recipe! These look yummy, easy, and remind me a bit of my favorite cookie from grade school cafeteria days. But more adult w/the coffee & coconut. Secretly hoping my kids don’t like them. That’s bad that I typed that, isn’t it? I think I’ve had these before at the holidays with family, but it was when I was a little girl. Thank you for sharing, will have to make them on the next holiday for my kids.